Welcome! I have two passions... Forrest Yoga and Body Psychotherapy. This website has been created to give you information on both and to keep you up-dated on where I am teaching. As a Forrest Yoga Guardian I offer classes, workshops, retreats and trainings, in particular Continuous Education for Teachers and Mentorship programmes. As a therapist, I offer in-depth, long-term body psychotherapy and biodynamic massage. My belief is that the combination of the two is a powerful way of becoming more alive and more aligned with your purpose in life. 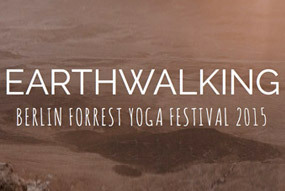 A series of Yoga and Forrest Yoga workshops and retreats throughout the UK and Europe.